This $17 Million, 83-week development for QUBE Developments involved constructing 26 luxury apartments over 9 levels in South Perth, during one of the WA Construction Industry’s busiest periods. High quality finishes were used extensively throughout the development, including travertine marble and granite for both the apartment and main lobby areas. The ground floor construction consisted of a main port cochere and lobby providing lift access to the two towers, as well as on grade undercover parking. The first floor offers communal facilities including a library, conference rooms, viewing area and gymnasium. The kitchen facilities open out onto the pool deck area that includes a 40-metre concrete gas heated pool, spa, BBQ, showers and sun deck. 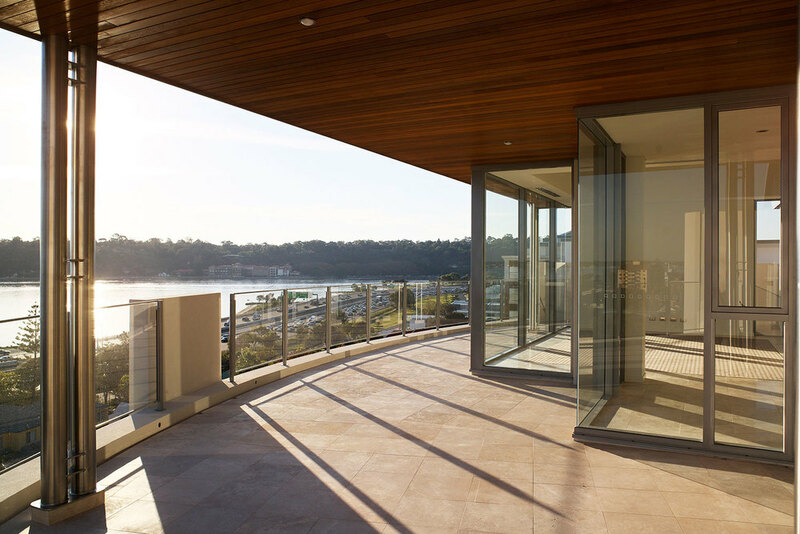 On the next six levels you’ll find 24 well-appointed apartments that make extensive use of glass and balcony areas to take full advantage of living on the South Perth foreshore. Two luxurious penthouse suites on the top floor complete the picture. 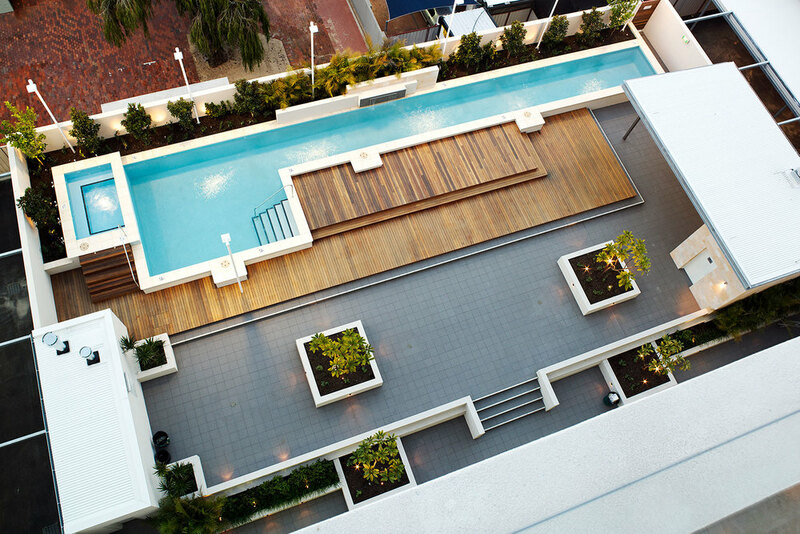 Constructed using high-quality fixtures and fittings to achieve the highest possible standard, they offer more than 150m2 of balcony area, including private pools on the north-facing deck.